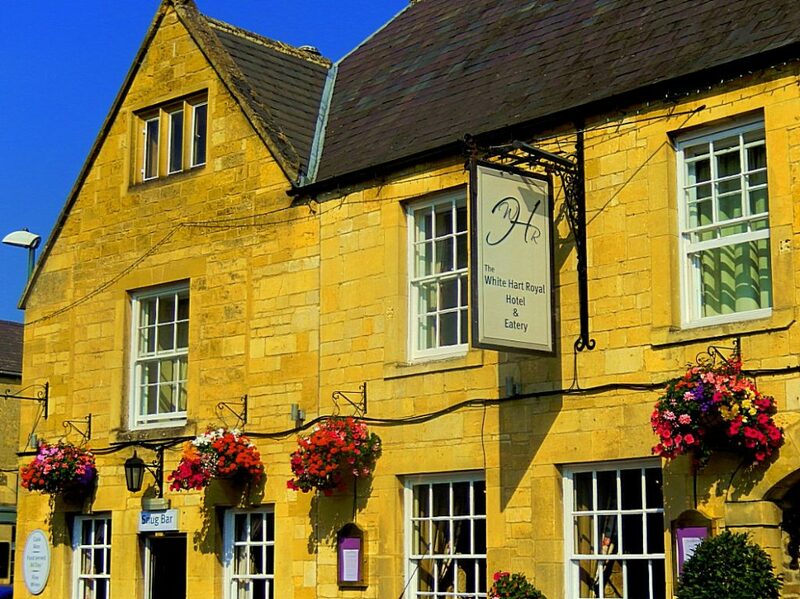 My last day in the Cotswolds started with a shower and a good sturdy hobbitlike breakfast, after which I left the White Heart Royal Hotel for a stroll through Moreton-in-Marsh. 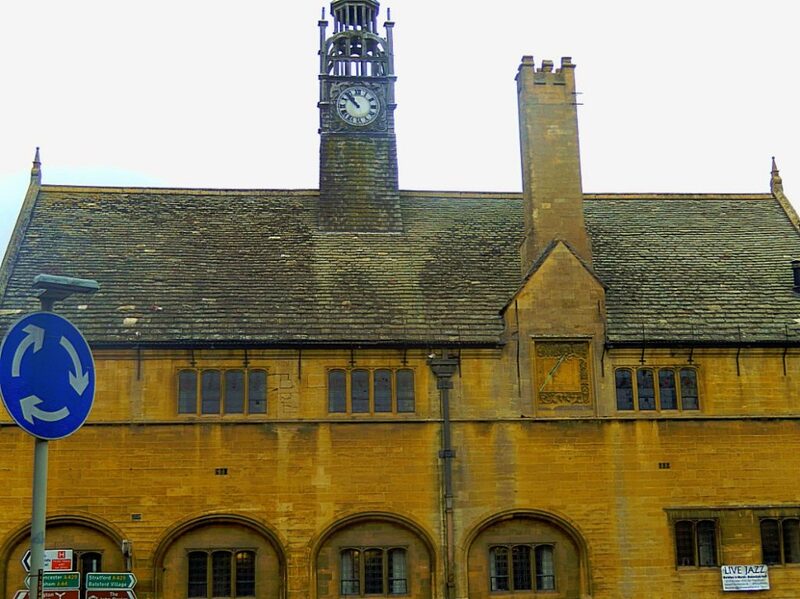 I was now looking for a final connection that I knew that might exist between the Cotswolds and Tolkien. Moreton-in-Marsh is one of the largest towns in the North Cotswolds and is set to become the main Market Town. 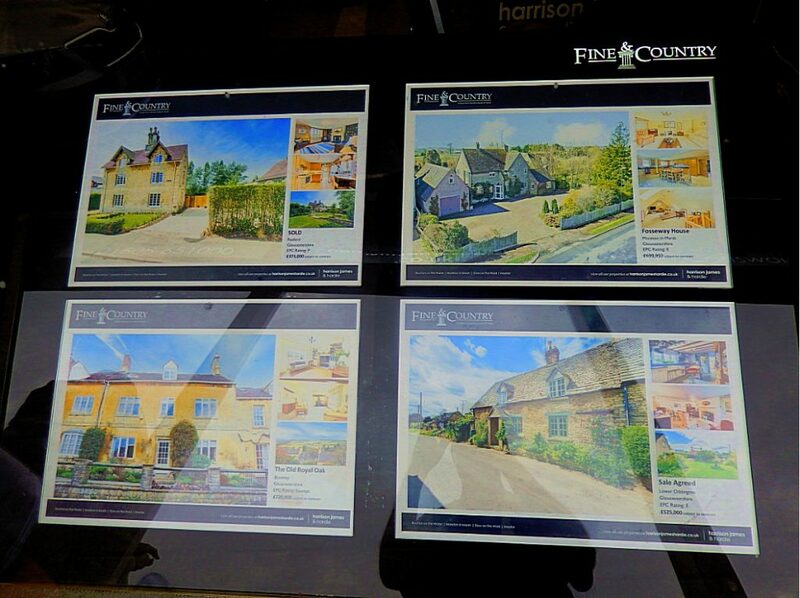 It is situated on the Roman Fosse Way (A429) dating back to the thirteenth century. 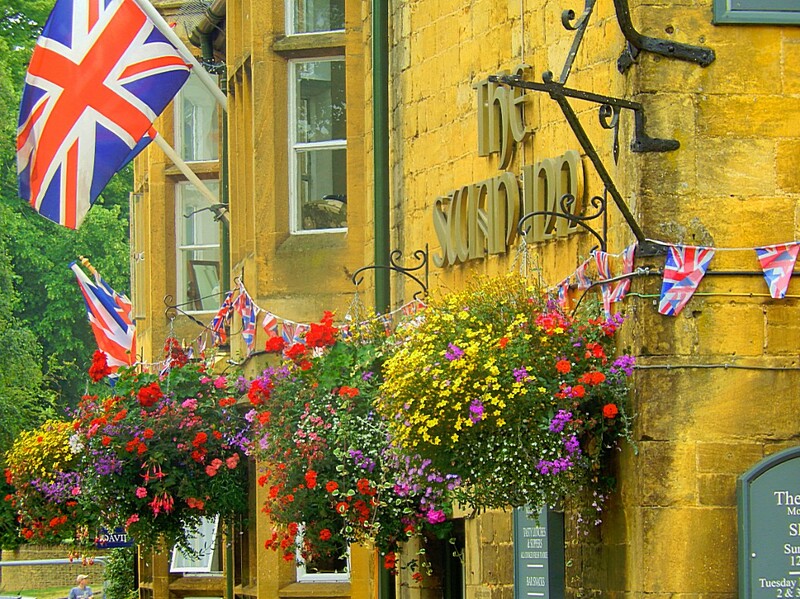 It is now a small market town located in the Evenlode Valley, which lies within the Cotswolds, an Area of Outstanding Natural Beauty in Gloucestershire, England. 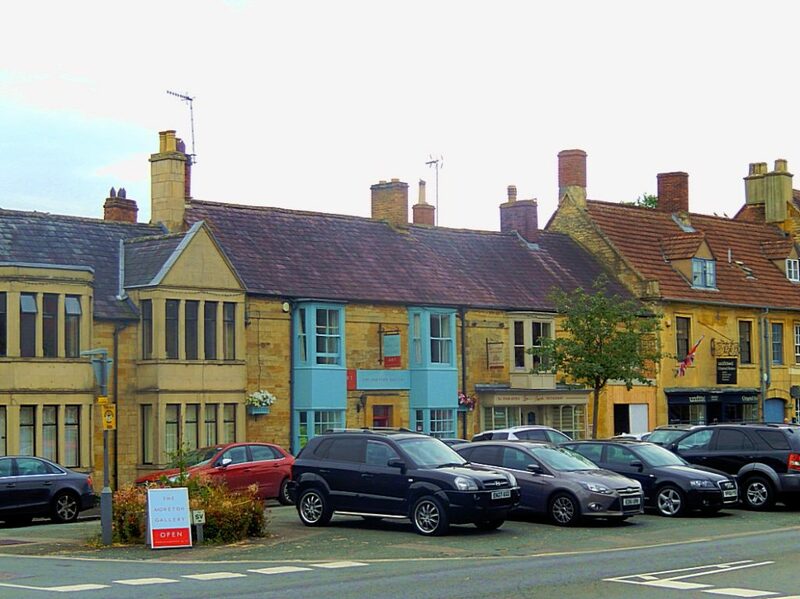 The town stands at the crossroads of the Fosse Way Roman road (now the A429) and the A44. 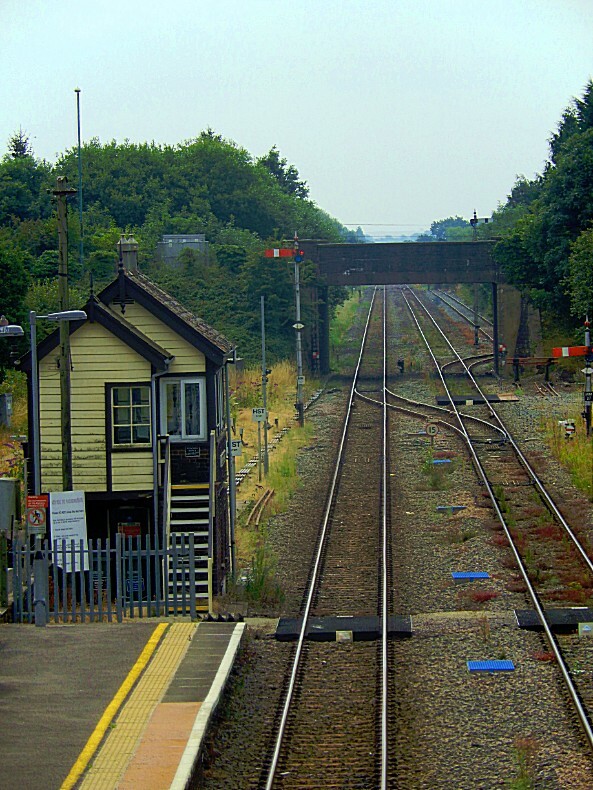 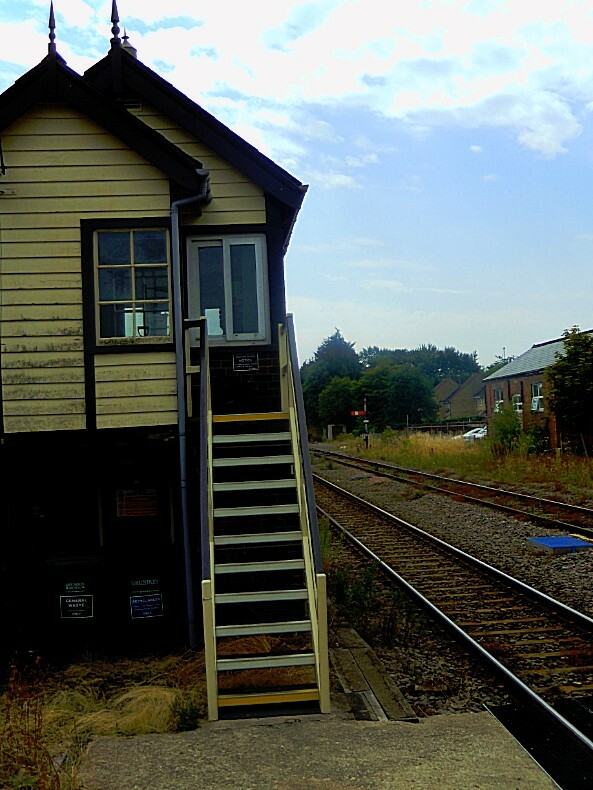 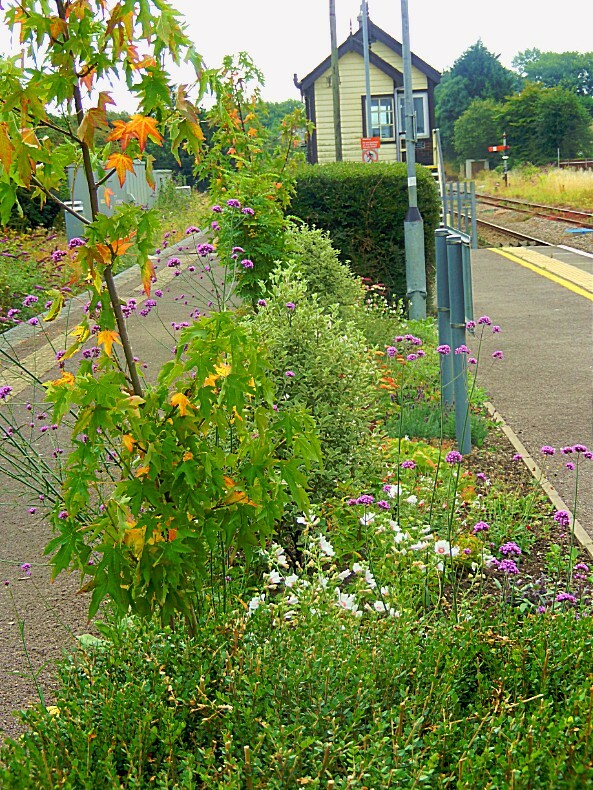 It is served by Moreton-in-Marsh railway station on the Cotswold Line. 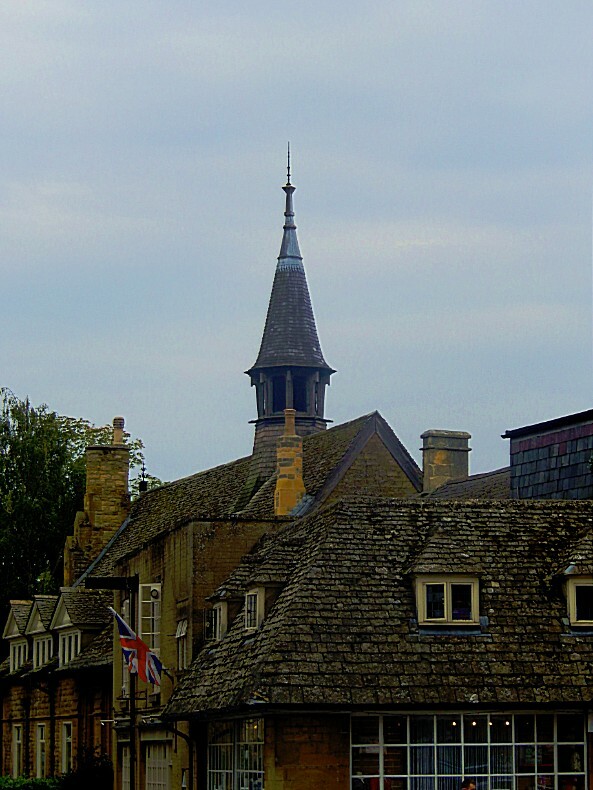 The parish and environs are relatively flat and low-lying compared with the surrounding Cotswold Hills. 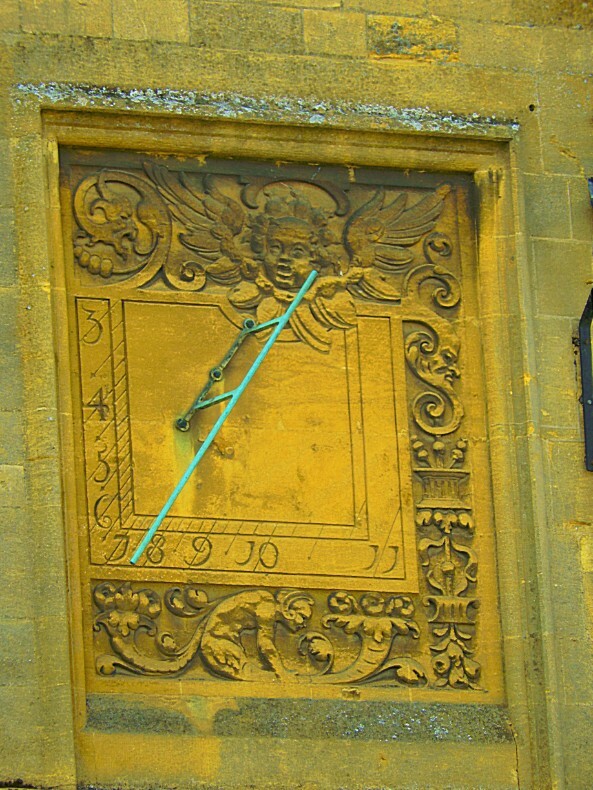 The River Evenlode rises near Batsford, runs around the edge of Moreton and meanders towards Oxford, where it flows into the Thames just east of Eynsham. 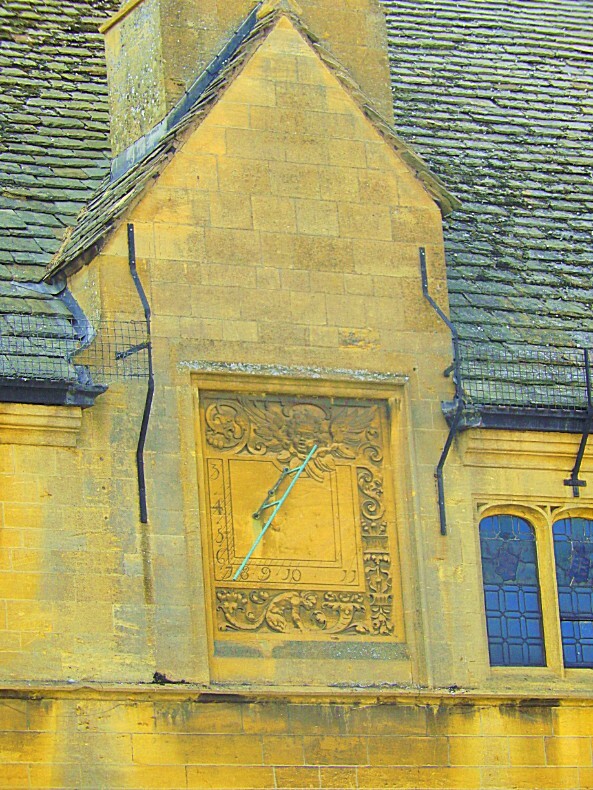 Just over 1.5 miles (2.4 km) east of Moreton, the Four shire stone marked the boundary of the historic counties of Gloucestershire, Warwickshire, Worcestershire and Oxfordshire, until the re-organisation of the county boundaries in 1931. 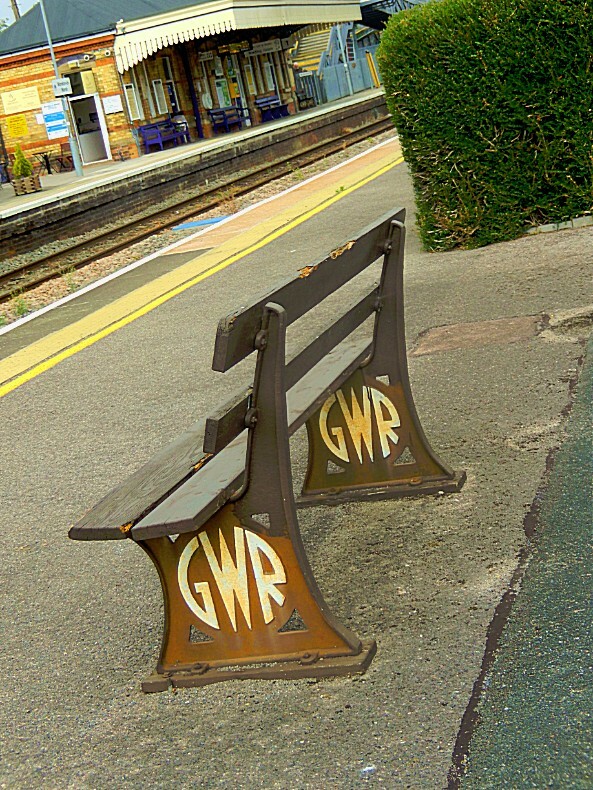 Since then it marks the meeting place of Gloucestershire, Warwickshire and Oxfordshire. 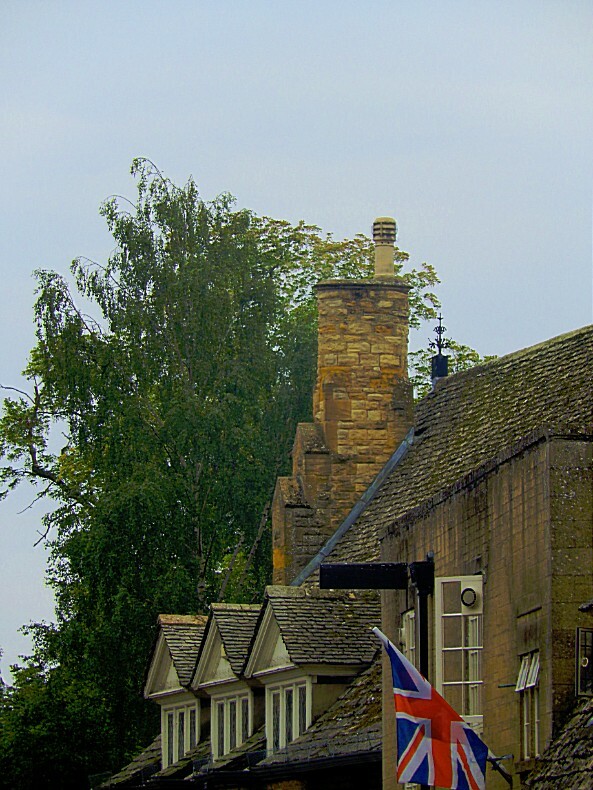 It has a wide main street which has many elegant eighteenth century inns and houses including the prominent, attractive Redesdale Hall. 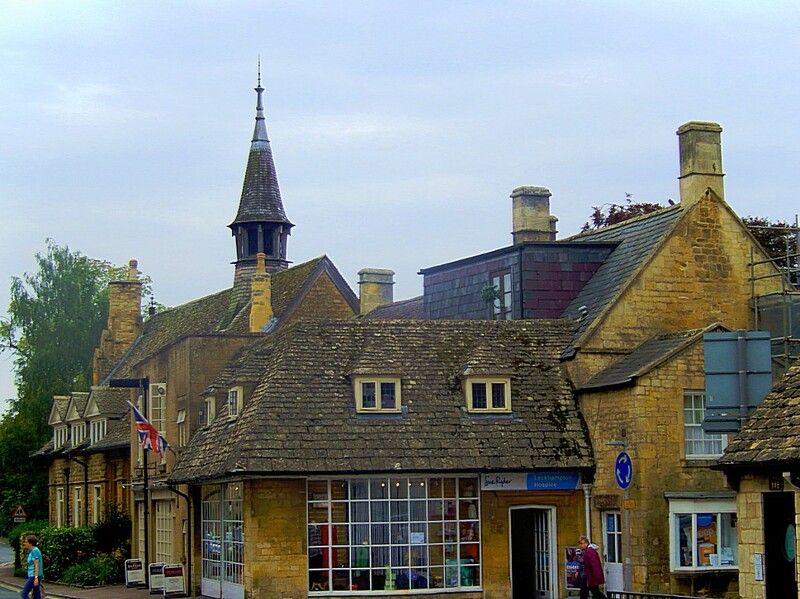 Moreton has many buildings in characteristic Cotswold stone, numbers of antique shops and several hotels. 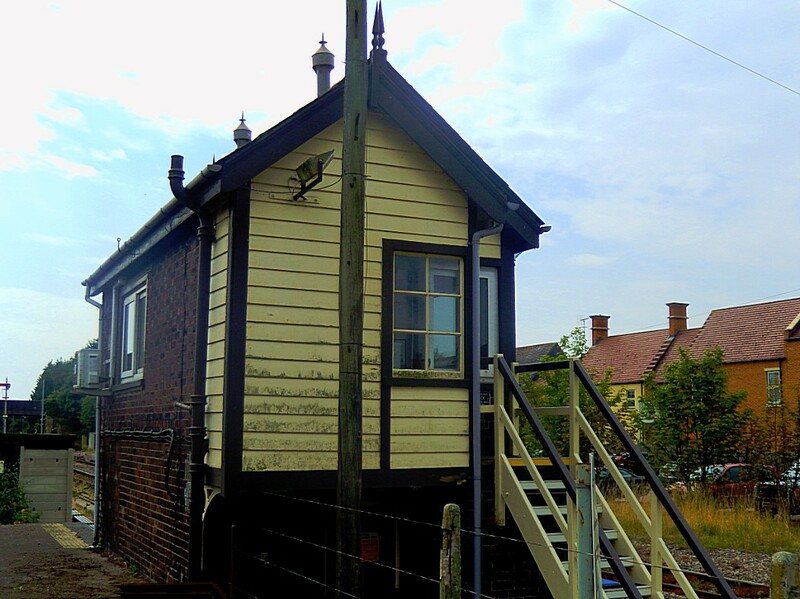 A Caravan Club site is a short walk east on the Broadway road (A44), past the Wellington Aviation Museum, a museum of the history of the Vickers Wellington bomber. 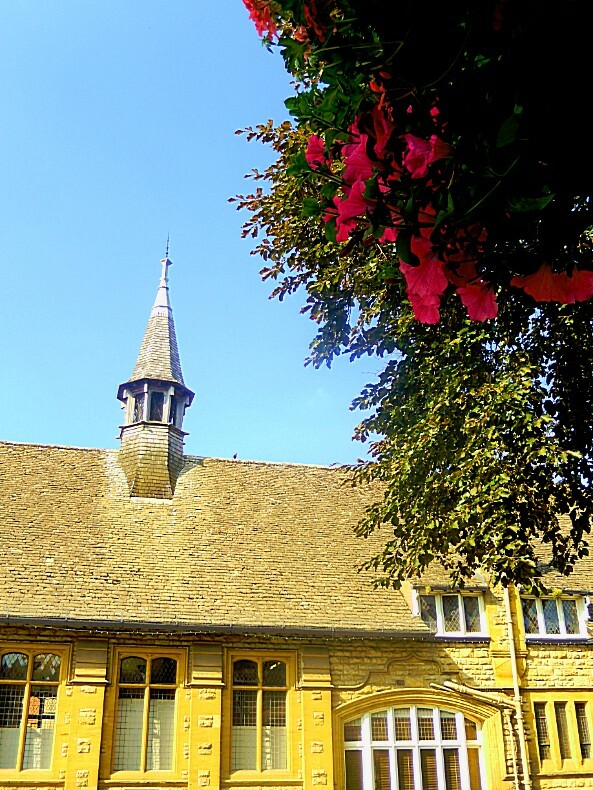 Other local attractions include Batsford Arboretum near Batsford village and the onion-domed Sezincote house and gardens. 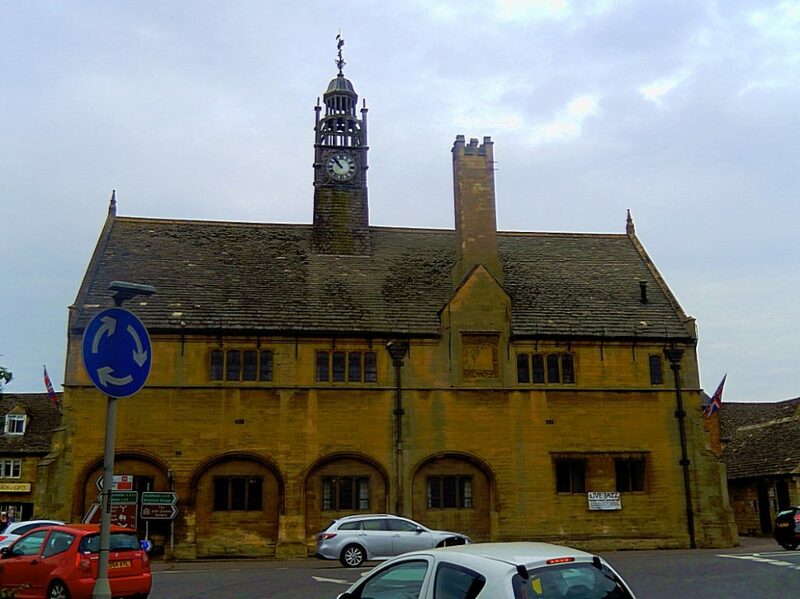 Moreton is derived from Old English which means “Farmstead on the Moor” and “in Marsh” is from henne and mersh meaning a marsh used by birds such as moorhens. 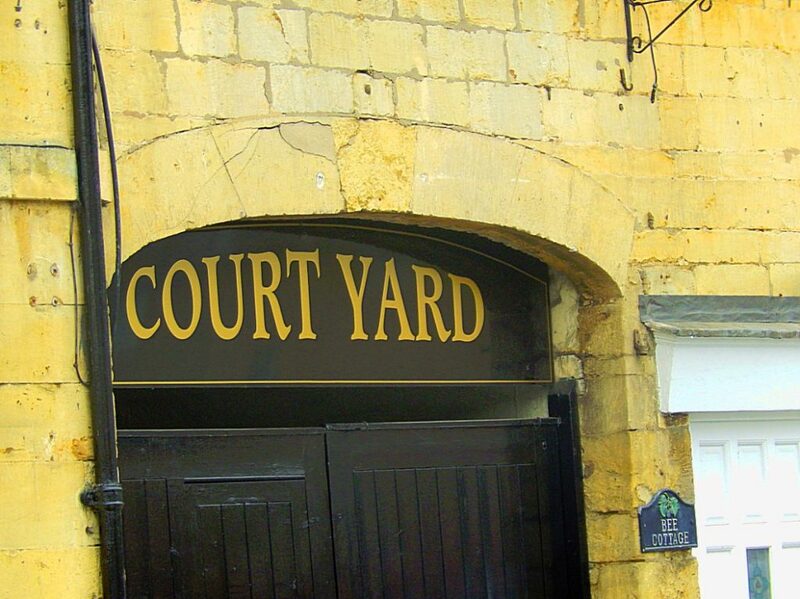 An alternative suggestion is that ‘Marsh’ is a corruption of ‘March’, early English for boundary. 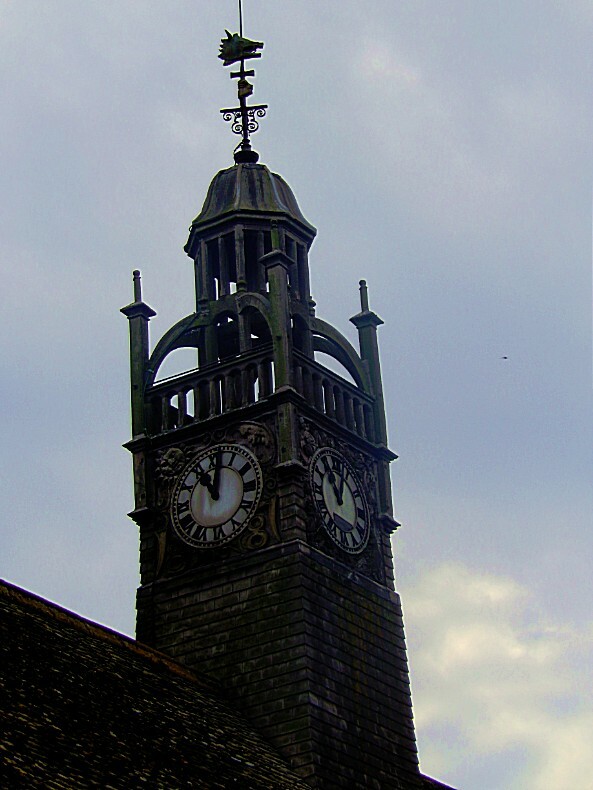 One of the oldest buildings in the town, is the sixteenth century Curfew Tower, which can be found on the corner of Oxford Street and the High Street. 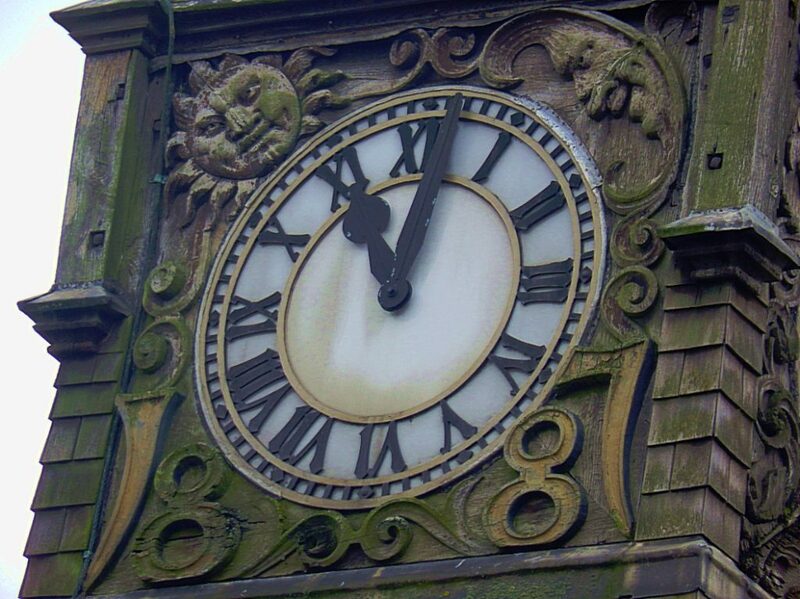 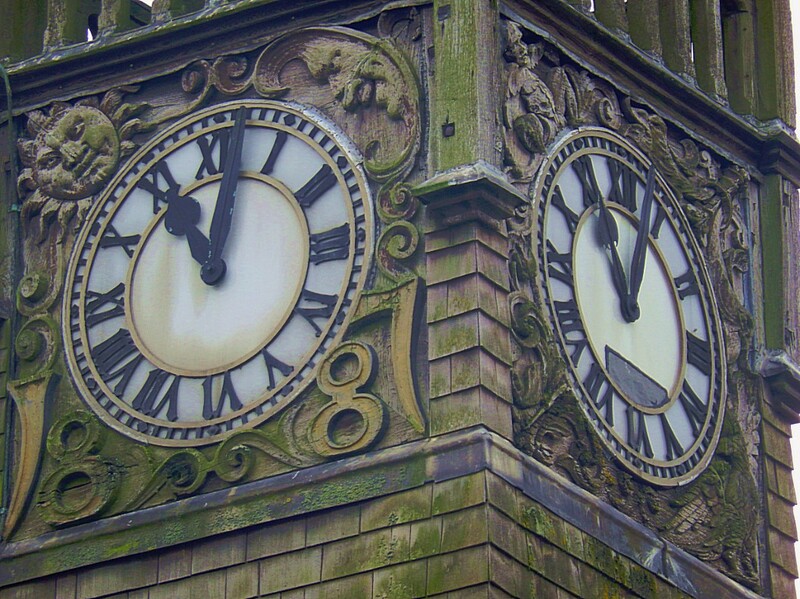 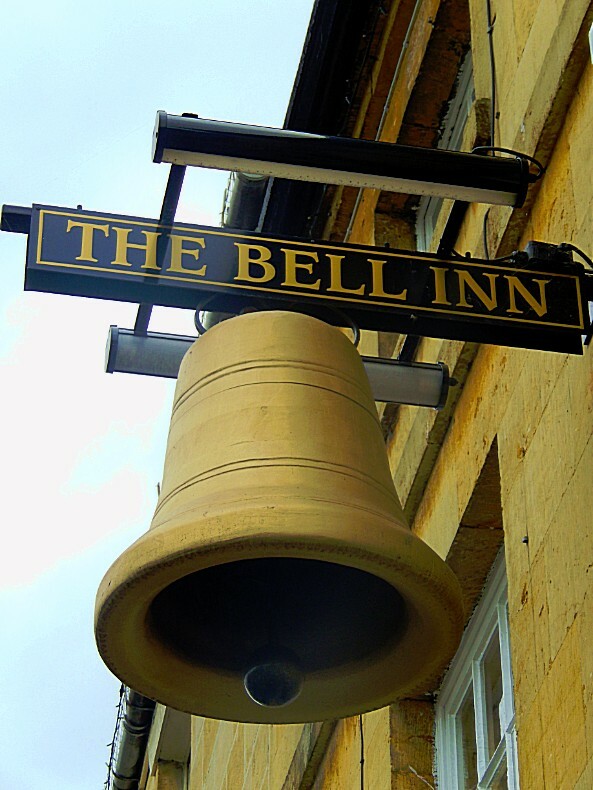 It is alleged that its bell was rung nightly until 1860 to remind people of the risk of fire at night. 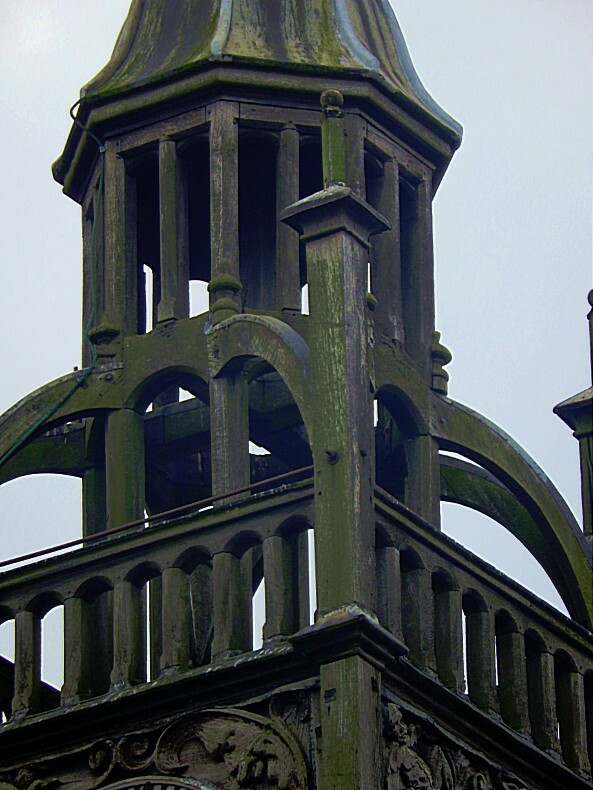 It is said that it once guided home Sir Robert Fry, lost in the fog, who gave money for its maintenance in gratitude. 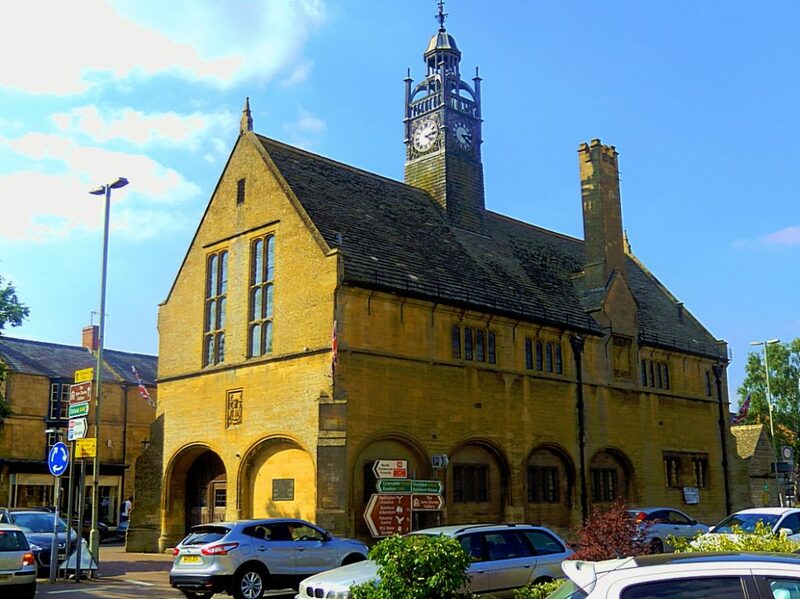 Opposite the White Hart Royal hotel is the Redesdale Market Hall. 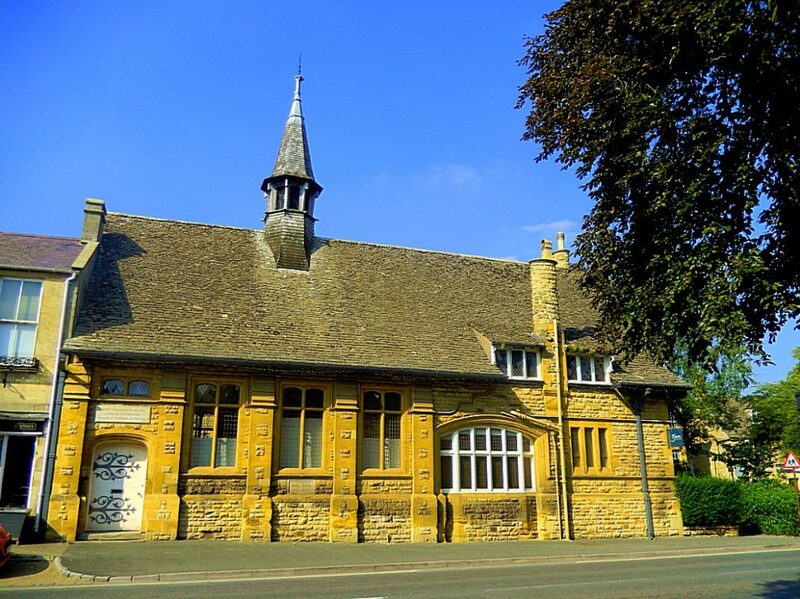 The Redesdale Market Hall was designed by the architect Sir Ernest George and built in 1887. 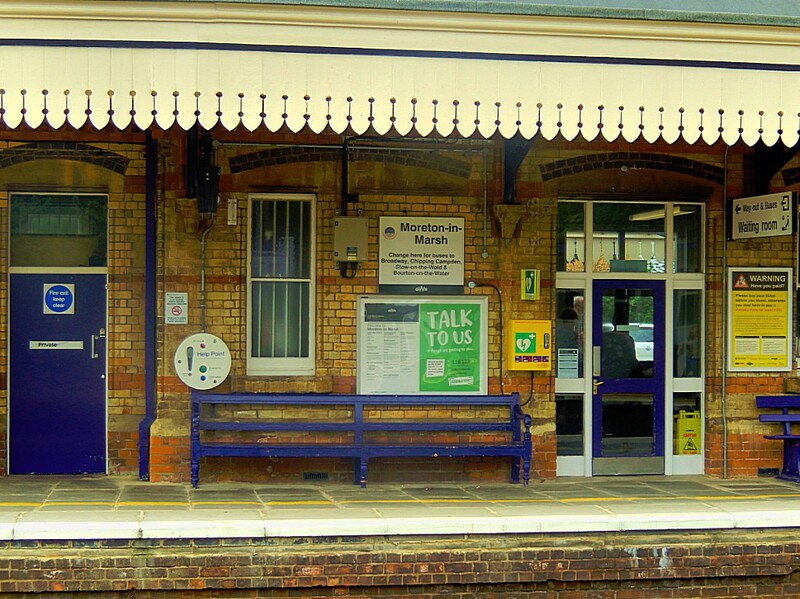 Moreton in Marsh was once a traveller’s town and was used as a coaching station before the coming of the Oxford to Worcester Railway in the mid 1800’s. 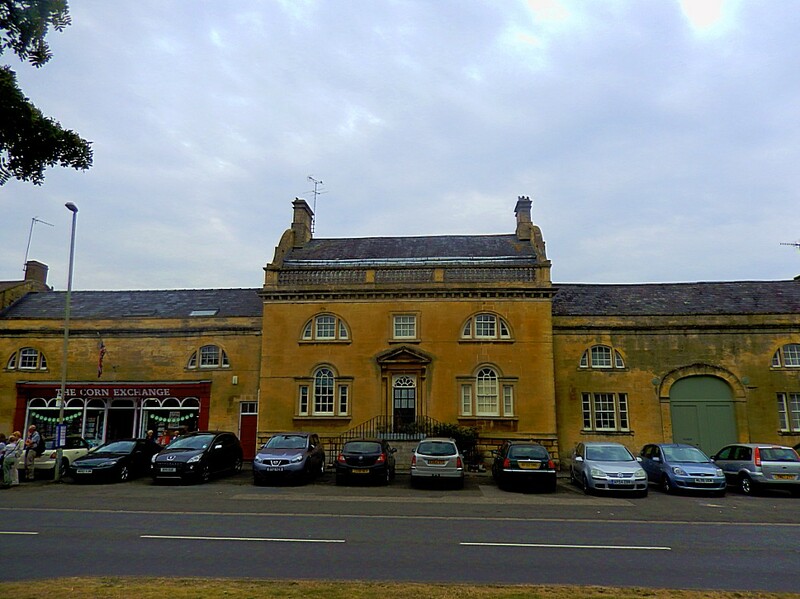 Just behind Redesdale Market Hall is a very interesting inn for everyone who has read The Lord of the Rings, the succesor of Tolkiens famous children’s book The Hobbit. 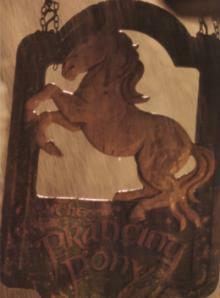 In its pages, the hobbits visit the small town of Bree and the most famous inn from the books: The Prancing Pony. 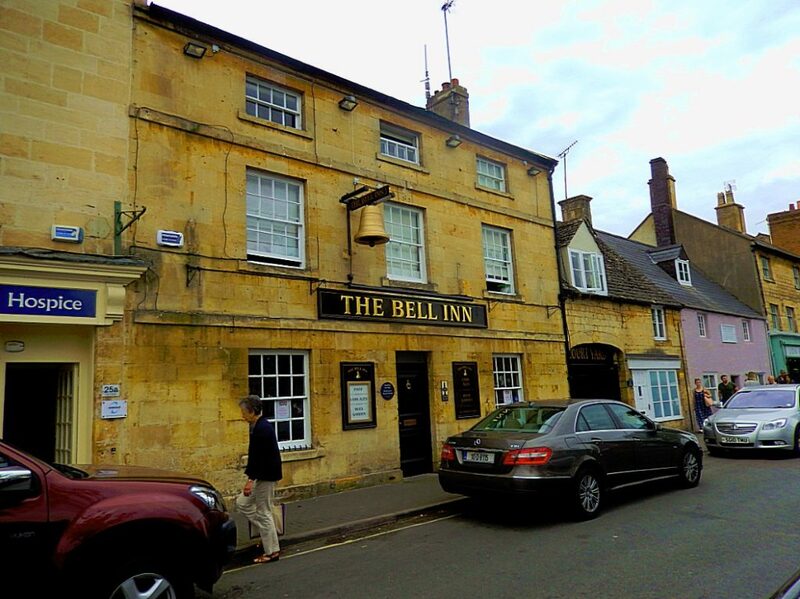 Considered by many to be JRR Tolkien’s inspiration for the ‘Prancing Pony’, Middle Earth’s most famous pub in ‘The Lord of the Rings’, The Bell Inn is a fine example of a traditional coaching inn (not unlike the White Hart Royal) providing quality food, drink and accommodation in welcoming surroundings. 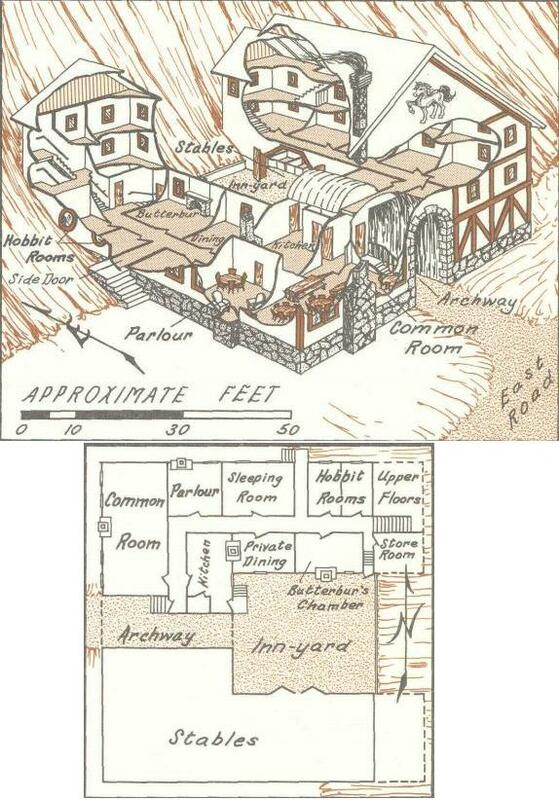 Above is a map of The Prancing Pony from the Atlas of Middle Earth by Karen Wynn Fonstad. 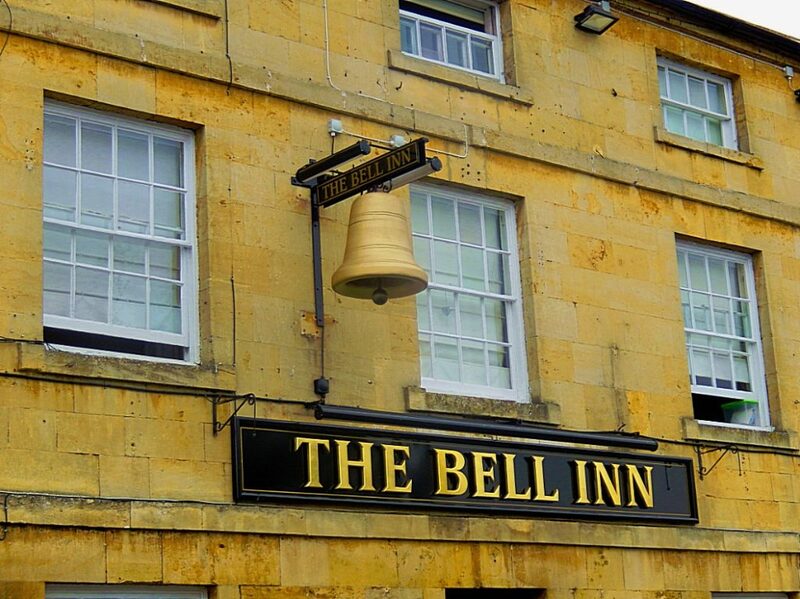 It is clearly a coaching inn. 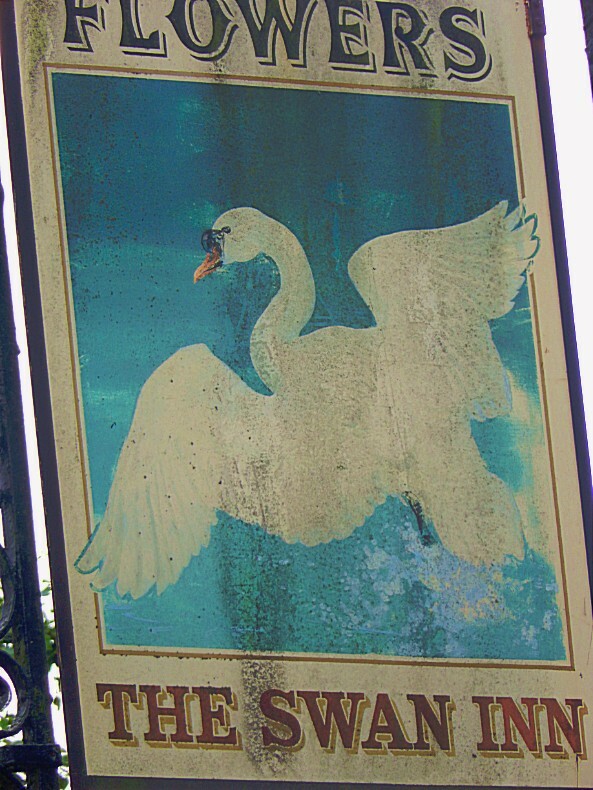 The famous author J R R Tolkien is believed to have had connections with Moreton-in-Marsh – a pub in the town was presented with a special print by a branch of the J R R Tolkien Society. 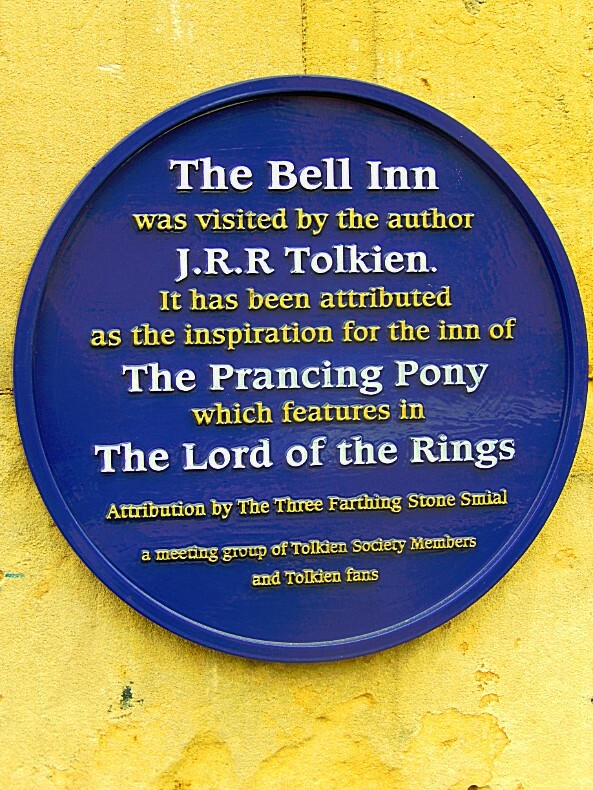 The Society claim (having painstakingly researched the case) that The Bell Inn is the inspiration behind The Prancing Pony in Bree, Middle Earth’s most famous pub from the Lord of the Rings books. 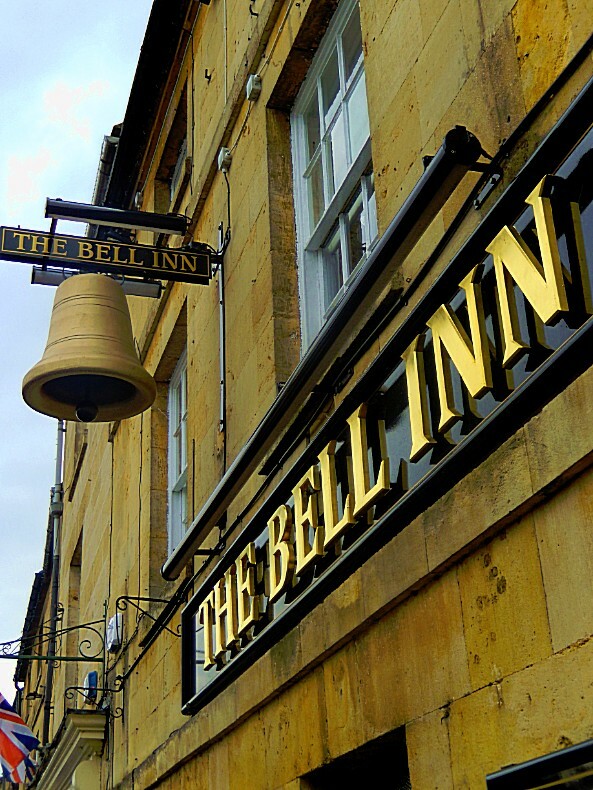 Well based on these meager similarities, I wouldn’t be able to come to that same conclusion, because there are similar inns in town that could possibly claim the same, but I can also say that the inn feels like it is a Prancing Pony like inn. 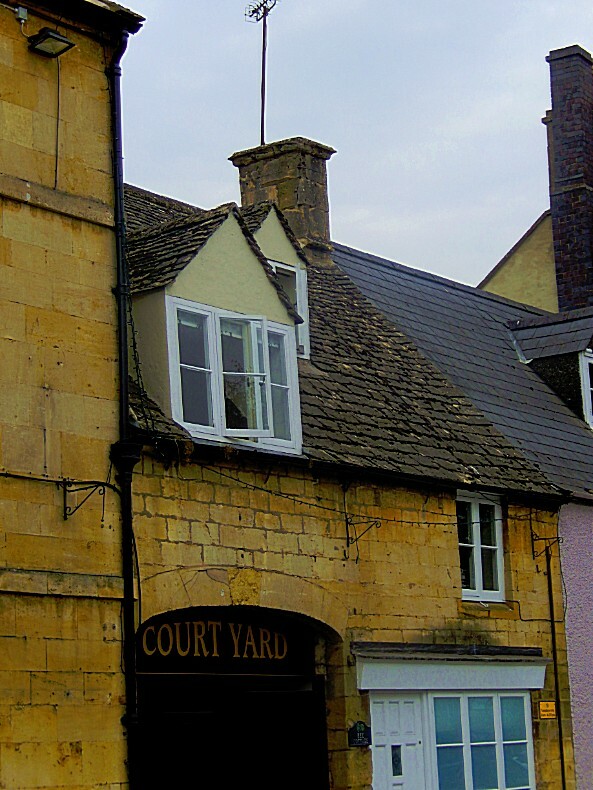 Another old building, which is close to the Curfew Tower, is the White Hart Hotel. 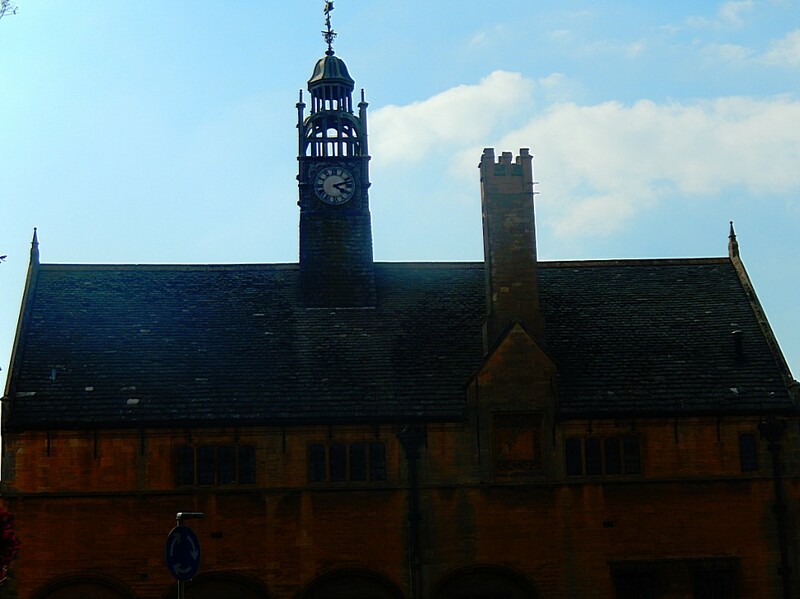 It was said to be the centre of the Royalist Cavalry during the English Civil War. 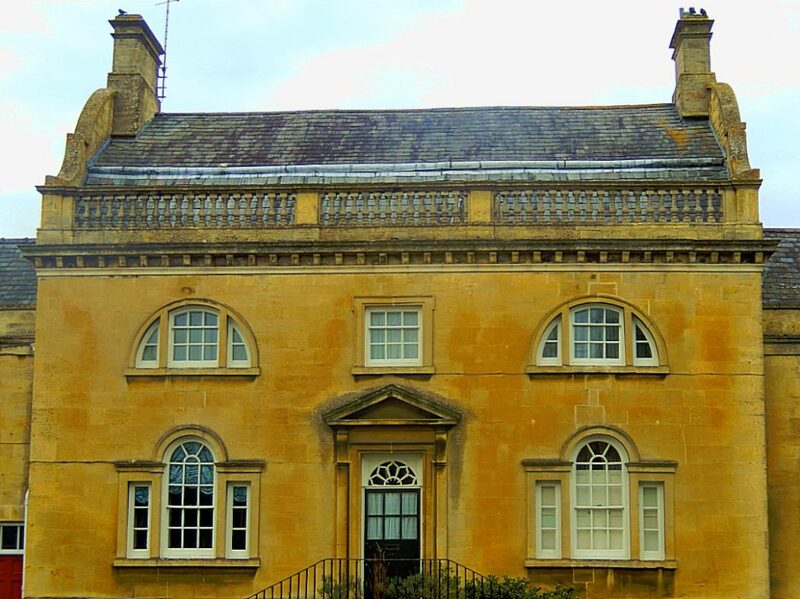 King Charles I stayed there on the final march from his Oxford Headquarters. The hotel was once a coaching inn like the Bell Inn. 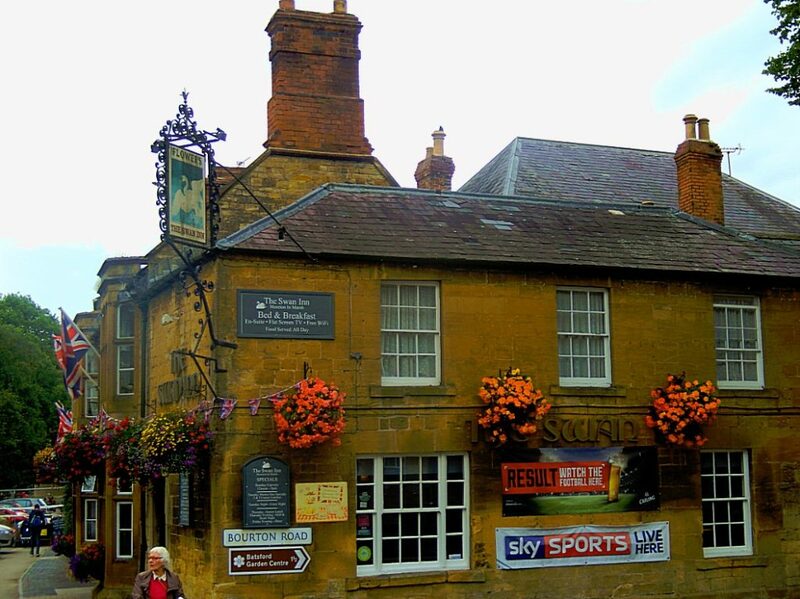 The Swan Inn is another beautiful Cotswolds stone building. 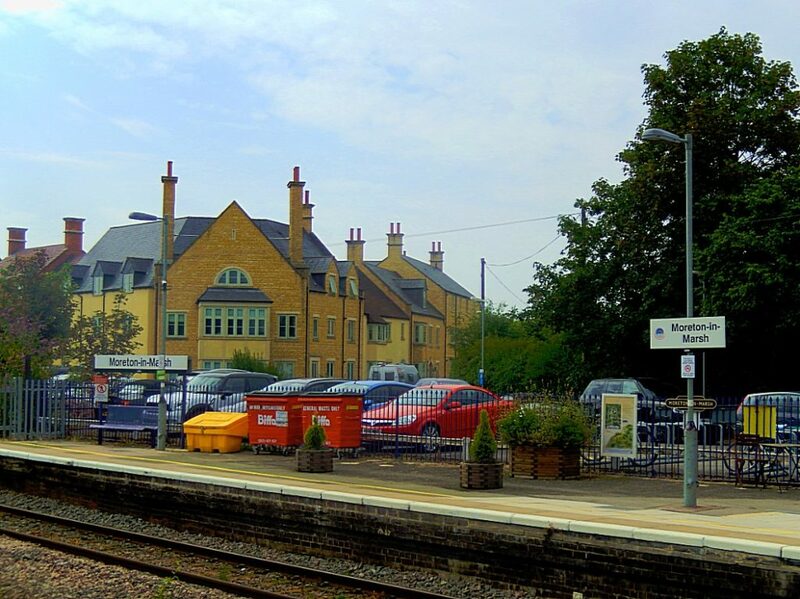 Moreton was once the headquarters of the railway spot-hire company Cotswold Rail. 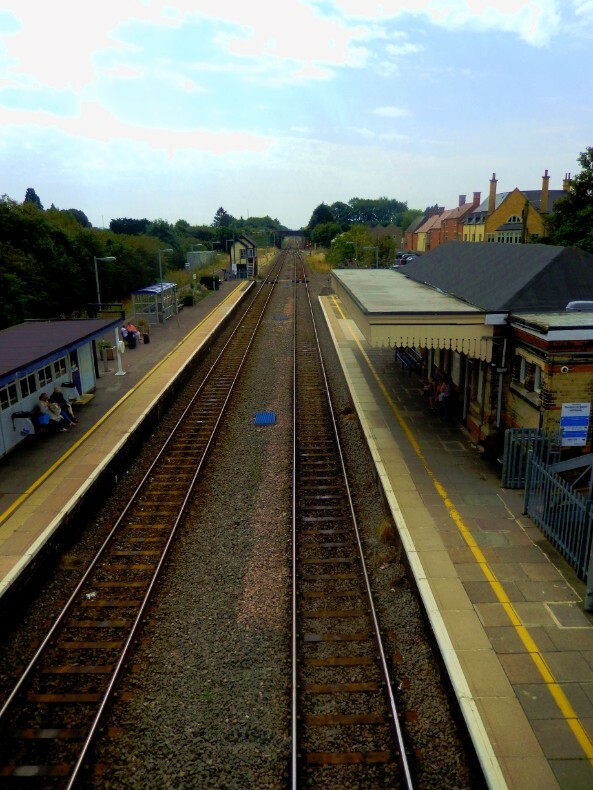 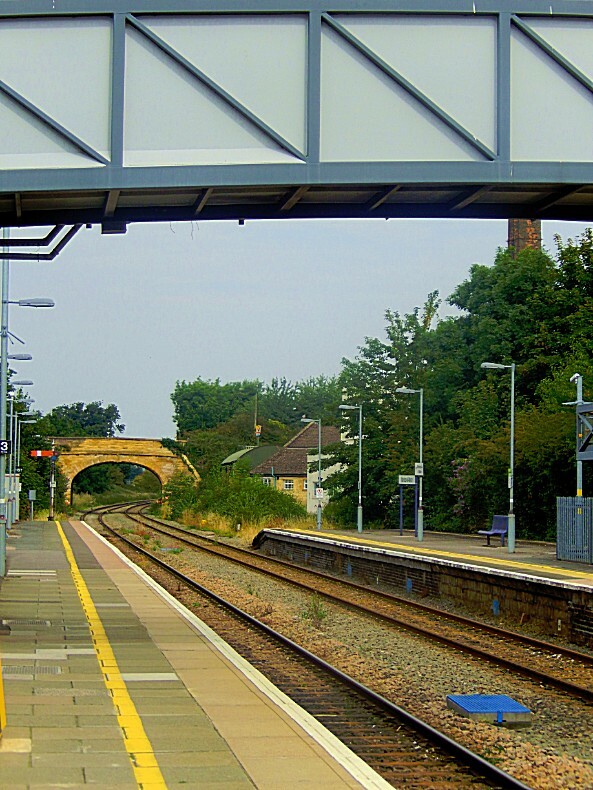 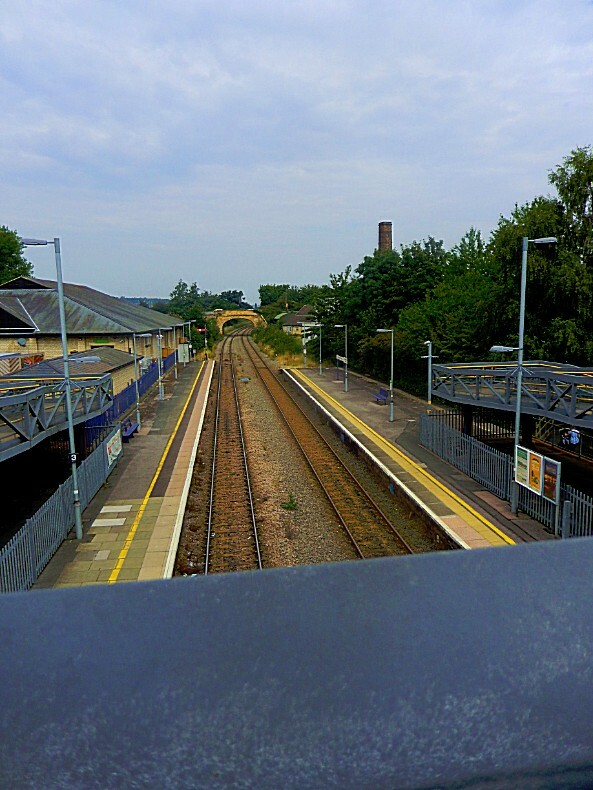 The Railway Station is situated close to the town centre and is on the mainline to London Paddington.